Are you hearing scratching around your home at night time? Do you suspect you have mice in your home but aren’t sure? Signs of mice activity can be very clear if you know what to look for. Droppings are the first indications that you have a mouse infestation. Mouse droppings look like dark brown or black pieces of rice and can be scattered around your home. Mice are nocturnal so you may hear scratching at night time. If you are hearing scratching during the day, you may have squirrels in your attic. Reference our guide here to help clarify this situation. Read below to learn more about residential mouse infestations and what you can do to protect your home. Why do I have mice in my house? and Pennsylvania. But how do they make their way inside? They are looking for two things: food and shelter. If you were given a choice to live outside in fear of predators such as hawks and snakes or live in a climate controlled structure with an abundance of food sources and no predators, which would you choose? That’s the logic behind the survival of most pests including mice. I keep my doors and windows shut. How did they find their way inside? Many people may suggest using store-bought snap traps to catch mice one by one. The problem with this method is that the placement of the traps can be incorrect and therefore less effective. Without proper pest knowledge, you may unknowingly place traps in the way of children, pets, or even yourself. Cleanup of these traps can be unpleasant, not to mention slightly more inhumane than professional baiting systems. If you see signs of mouse activity, it’s best that you call Cooper to stop mice in their tracks. What is a mouse service? 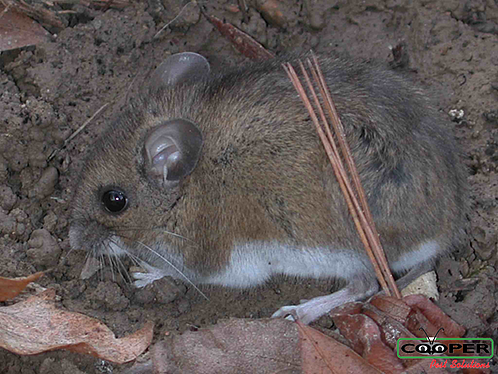 Cooper provides mouse control through baiting systems, using the least amount of chemicals possible. The goal of our mouse programs is not only to control the mouse populations in your home but to ensure that they do not come back in the future. Baits are made to be tamper resistant and can only be opened by a technician’s key. The bait placement is strategic so that it is out of reach and pets and children cannot tamper with it. Why does Cooper provide the best mouse service near me? Cooper Pest Solutions uses cutting edge treatments and baiting systems to control mouse populations in your home. Our treatments are based on tactics that are constantly reevaluated by our entomology department for improvements and industry developments. No mouse issue is the same, so our technicians will carefully assess your home and create a program that is customized to meet your needs. Mouse services in NJ and mouse services in PA are available through our online portal. Schedule our One-Time Mouse Service today! Our One-Time Mouse Service is now available for purchase online with 90 day coverage. Please view the video above to make sure our One-Time Mouse Service is the best fit for you. When you are ready to pre-pay for this convenient service, visit our payment portal here. Cooper also offers options for year-round general maintenance services that include mouse baiting and control. All of our services provide a 100% guarantee within the coverage period. Our Home Traditional Service is a year round program that focuses on pest prevention and elimination as a whole, including mouse control. 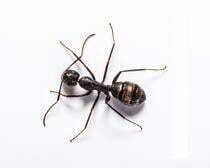 Cooper’s highly trained technicians will visit your home on a quarterly basis for a pest check-up to make sure your home remains insect-free. Your technician will perform additional treatments if needed. The Home Traditional Service provides unlimited service calls in between quarterly visits to have a technician dispatched. Our Home Intensive Service is also a yearly program that aims to prevent and eliminate pest issues in your home. A skilled Cooper technician will visit your home on a quarterly basis to make sure that you are still pest-free. If they find that there is a new insect present, they will treat your home accordingly. The Home Intensive Service differs from the Home Traditional Service because of its extended coverage for sealing of holes that serve as entry points for mice and climbing ladders to remove stinging insect nests. Click the link above to learn about other benefits that are included. Do you have additional questions or concerns? Call our customer service department at 1-800-949-2667 or fill out the contact form on the right side of this page.